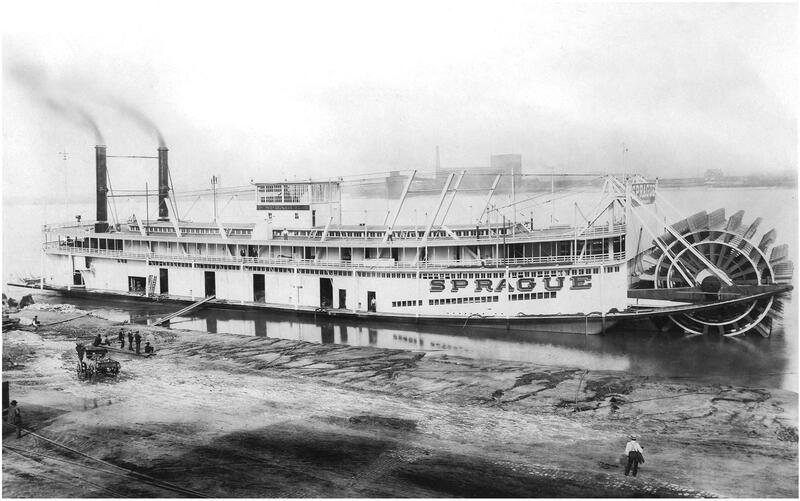 The Sprague, circa 1905 (she was built in 1902 at Dubuque). Biggest paddlewheel towboat ever, hull 276 feet long, and with the paddle wheel, 318 feet. Someone was needed to take the immense responsibility of the job of maintaining their fleet of over 100 steam towboats. Mr. Sprague took it when he was 71. He later built the Sprague to take the place of the Smoky City which went up in flames at Pittsburgh in 1900. 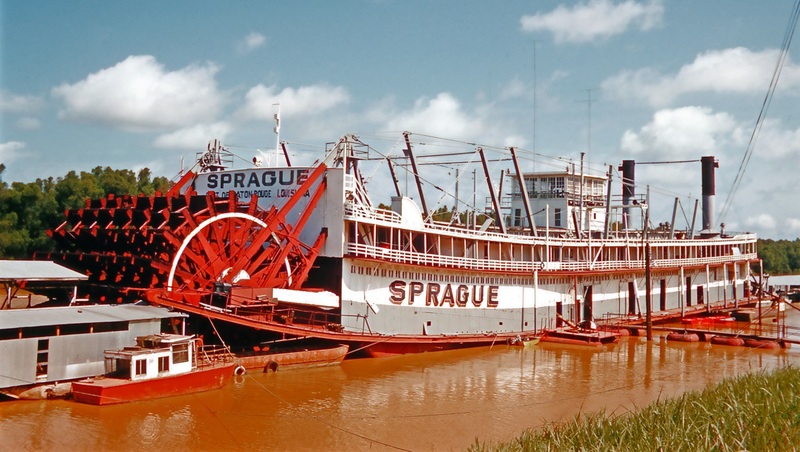 The "Big Mama", as the Sprague became known, took the place of several towboats. Tender boats traveled with the Sprague to deliver and pick up barges along the route. The boat took empty coal boats from New Orleans to Louisville. The Sprague was built at Dubuque, Iowa, by the Iowa Iron Works. Three trainloads of steel, including two full carloads of rivets, went into the boat's construction. The boat was 318 feet in length with the paddlewheel. 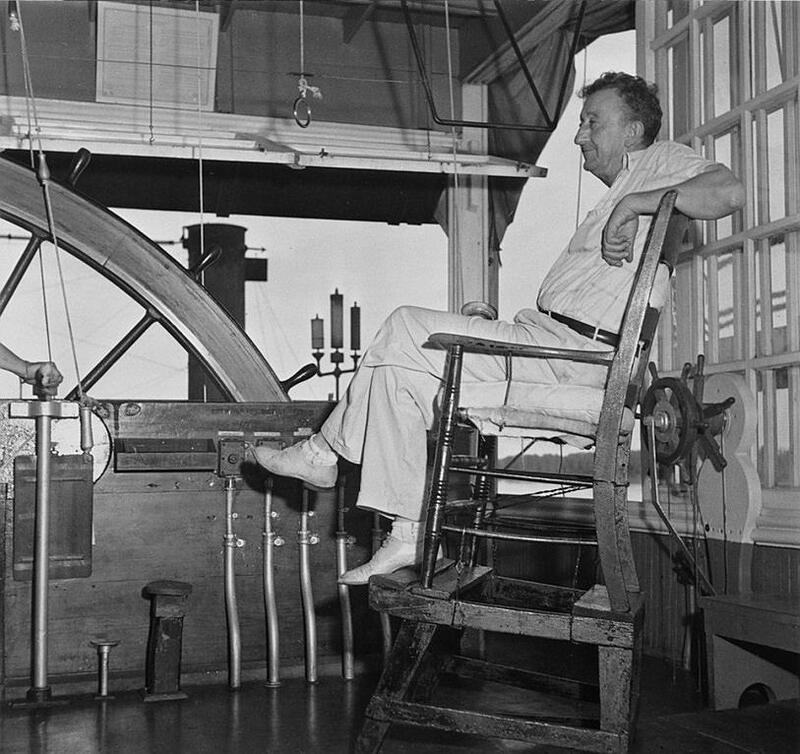 Her sternwheeler was 40 feet, later shortened to 38 feet ,in diameter to give the boat more speed and power. The boat had 2,079 horsepower and six Hopkins boilers. The high-pressure cylinder measured 28 inches in diameter and the low-pressure cylinder 63 inches with a 12-foot stroke. "It's kinda hard to understand that a boat can actually be designed to do what these boats do-just as their steamboat forefathers did," William Zumwalt, known as "Old River Bill," told me. "Meaning churn mudd & chew stumps and survive going aground on a daily basis without damage to their hull, steering or wheels," he said. (Today the propellers are still called wheels, he said. He also wanted my readers to know that tugboat is an incorrect term for a towboat.) The Sprague was launched at the Dubuque Ice Harbor on Dec. 5, 1901. The boat had to carry a large number of coal flats to keep her steam up. It consumed coal in tons per hour rates, or by the truckload by today's standards. Boilers were hand fed by crewmen with shovels and wheelbarrows. In February, 1907 the Sprague set the record for the world's largest coal tow, pushing 60 barges and carrying the equivalent of 1,500 railroad cars of coal. The Sprague also set a world's towing record for oil, pushing 19 barges with 11 million gallons of crude oil. "Mainly due to the massive tows and cargo she could handle, that were often so-massive in size, they caused the Mississippi to actually run backwards after she passed going upriver, "wrote Mr. Zumwalt on his Web site. "Some accounts claim her 'wheel wash' would often splash the banks for hours after she passed." The Sprague rescued about 20,000 people fleeing the high waters of the great flood of 1927. People stood on barges surrounded by chicken wire with no place to sleep. 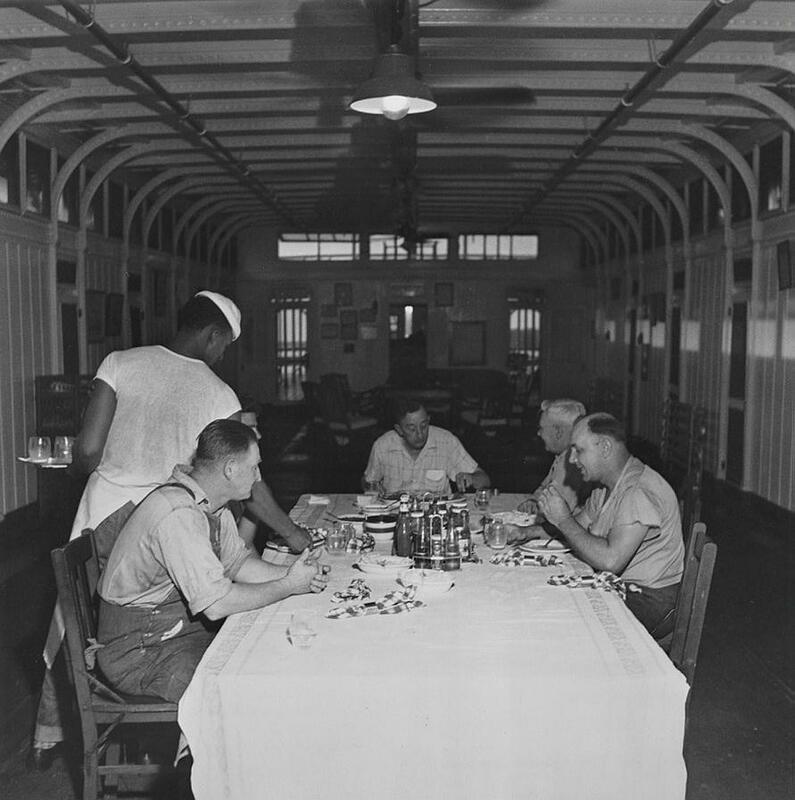 The boat was decommissioned at Memphis, Tenn. in 1948 and laid up at Vicksburg, Miss. as a floating museum. "As we swung around the big bend and looked up the Yazoo the captain handed me the glasses to pick out the Sprague moored to the Vicksburg Landing, " wrote Walter Havighurst in his book "Voices of the River." "The big vessel was freshly painted on the shoreward side; the rest of her was peeling and rusty." Apparently the captain preferred to remember the "Big Mama" when she pushed 50 barges up the river according to Mr. Havighurst. The boat's captain kept a pen of chickens on the roof, feeding them on millions of willow bugs killed by the steamer's arc lights. - Marlene Gantt of Port Byron teaches in Rock Island. SPRAGUE at Vicksburg, 1968 from a high resolution scan of a vintage Kodachrome slide. Attached is an atmospheric photo of the pilot house of the giant towboat SPRAGUE by photo journalist Tom Hollyman. Tom was born in Colorado in 1919 and while still a baby his folks moved to Warrensburg, Missouri where he was raised. Tom worked as a staff photographer for HOLIDAY travel magazine after World War II and the photographs he took in the U.S. and Europe filled over a thousand pages in HOLIDAY. In 1963 Tom was the cinematographer/director of photography for the innovative feature film LORD OF THE FLIES based on William Golding's 1954 novel of English school boys stranded on a desert island who revert to savagery. Tom filmed LORD OF THE FLIES (directed by Peter Brook) in a documentary style that enhanced its sobering realism of the movie. I spoke to Tom over the phone years ago prior to his passing in 2009, and he gave me the name of an archives back East which he thought probably had the original negative of this photo of the pilot house but I never was able to get a response from that archives. The photo (credited to Tom Hollyman) was reproduced on page 67 in the 1962 American Heritage Junior Library publication STEAMBOATS ON THE MISSISSIPPI by the Editors of The American Heritage Magazine of History with narrative by Ralph K. Andrist in consultation with C. Bradford Mitchell, American Merchant Marine Institute. 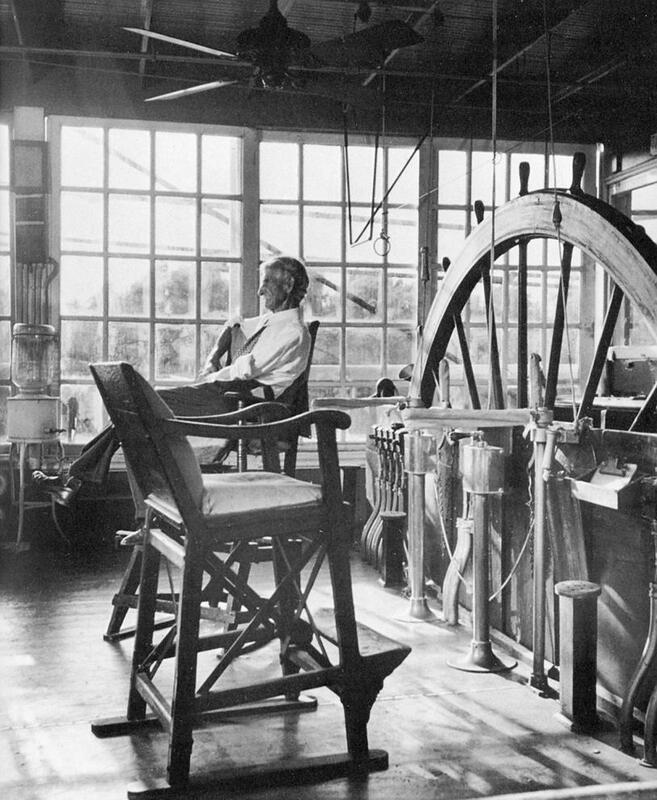 The man seated next to the window in the picture was Vicksburg photographer J. Mack Moore (1869-1954). J. Mack Moore was born in Vicksburg in 1869 and lived his entire life here until he died in 1954. He was the epitome of river town eccentrics, continuing to use glass negatives long after technology had advanced. Moore made his own light-sensitive paper, and he used only natural sunlight, never artificial light. 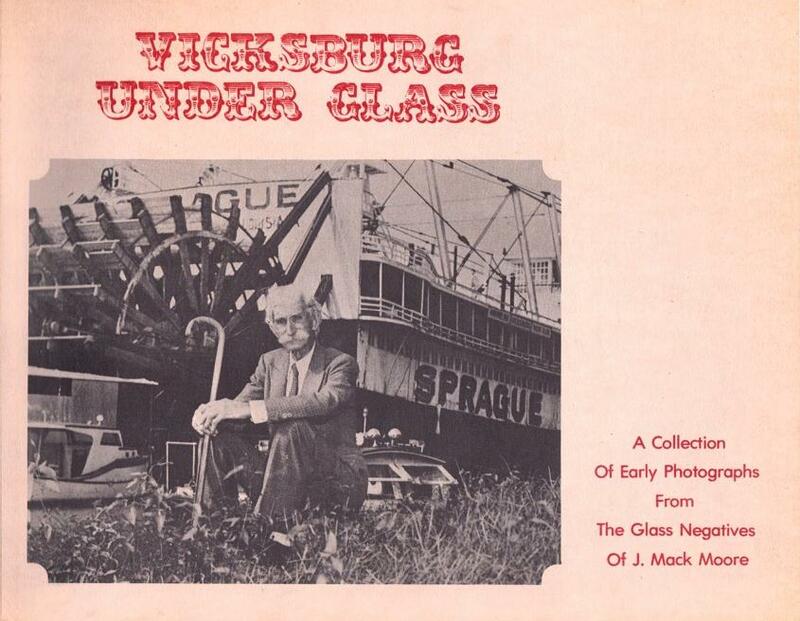 The Vicksburg Posts's Executive Editor Emeritus Charlie Faulk was entrusted with Moore's collection of photographsafter J. Mack's passing in 1954. Eventually, Faulk gave the glass negative collection to the Old Court House, where Charlie's son-in-law, Bob Pickett developed images from Moore's glass negatives and the most knowledgeable person about the techniques Moore used. 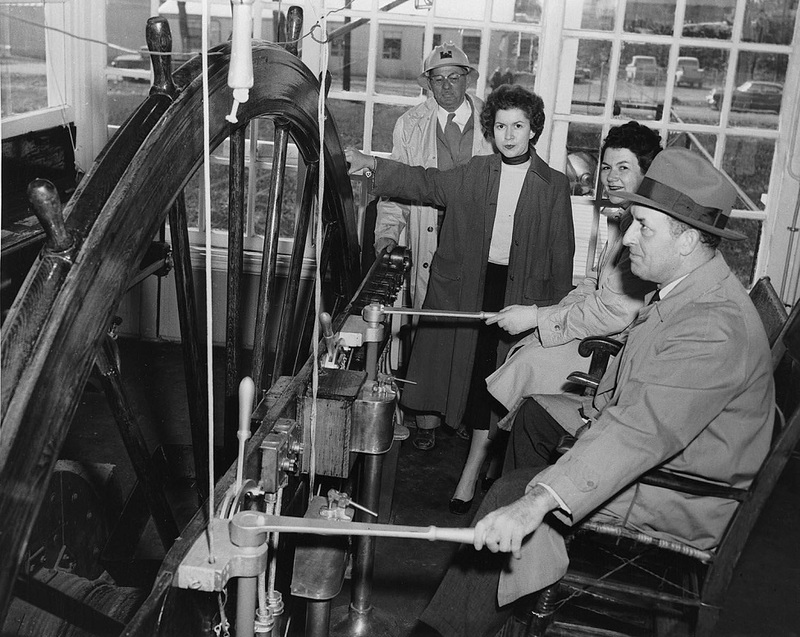 Great La Crosse photo of visitors on a tour as they behold the huge pilot wheel in the SPRAGUE's pilot house. Corps of Engineers gent in helmet at the rear keeps a watchful eye as 2 ladies and a chap in a hat are awe struck by the magnificence of such a tremendous pilot house. Fascinating photo of an interior that was seldom documented . 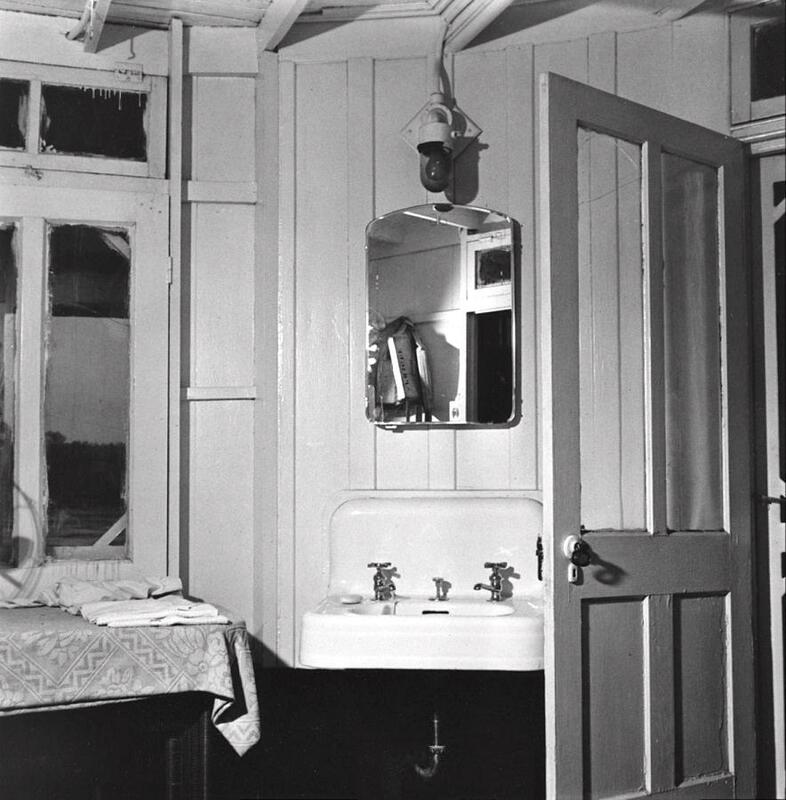 . . one of the crew's wash rooms aboard the SPRAGUE. 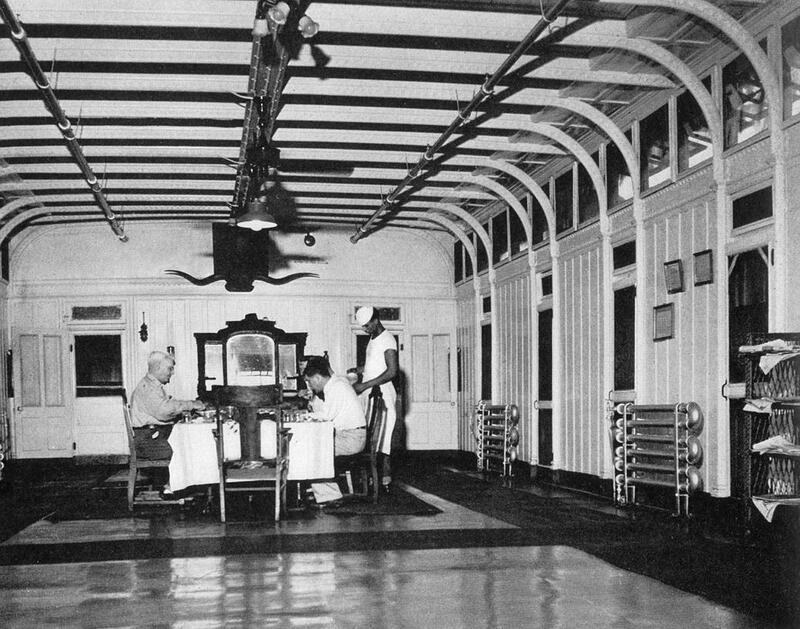 The interior glazed doors and exterior screened doors was in a corner of the main cabin with glimpse of the deck outside. Entry from inside the cabin could have also been through the door that is reflected in the mirror above the sink. There is a floatation device hanging on a hook next to the door in the reflection. The texture of the bulkheads and doors indicate that many coats of white paint had been applied over the decades. Hasty brush work left paint that had dripped down on the glass in the transom above the door on the left that was blocked by the table with linen towels on it. There is the shadow of an electric fan on the door above the table. Crack in the glass in the door on the right. Maritime style lamp with darkened glass over a colored light bulb above sink. So many picturesque details discovered while poring over images like these. The photo was probably taken by Edwin or Louise Rosskam while they were documenting the SPRAGUE for their 1948 documentary book TOWBOAT RIVER. This particular photo was not included in the book which is full of wonderful black and white photos of towboats, officers and deckhands. 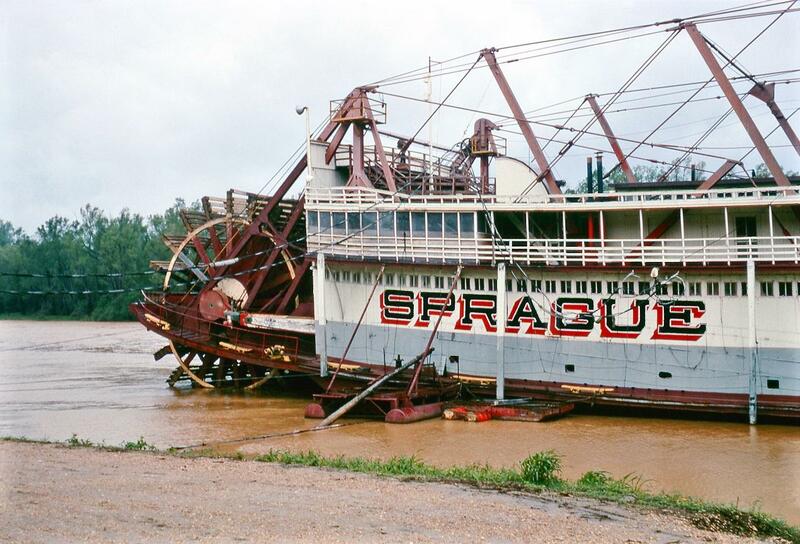 Color slide just in today of the SPRAGUE in 1966 at Vicksburg. She was the biggest sternwheel towboat of them all and the SPRAGUE was Cap'n Eli's steamboat in the original novel STEAMBOAT ROUND THE BEND by Ben Lucien Burman!